Preparation helps you leave your appointment with answers, not unspoken questions. Well-woman exams are one of the most important preventative steps women can take for their reproductive health, but many of us feel frustrated when we leave our appointments with more questions than we went in with. While lightning-fast conversations with our doctor are partially responsible and difficult to avoid, there are some tips we can use to get the most out of the time we have. Be as organized as you can for your appointment. In the current medical environment, doctors are rushed from patient to patient. “The biggest pressure on the relationship now is time,” says Dr. Susan Rutherford, President and Medical Director of 3W Medical for Women. “Doctors don’t like the time pressure either.” She recommends coming to the appointment with a written list of questions to help to keep things on track and to make sure you are able to discuss any issues you have concerns about. Don’t limit yourself to women-specific questions, either – a well-woman exam also can address your general basic health status. While your provider may not be able to answer all of your non-reproductive questions, they can be a good starting point and can recommend other providers for further care. While it can be difficult opening up to your provider, it is important to be open and honest when it comes to your number of sexual partners or your sexual practices. Important decisions, such as how often to test for STDs or when to perform a pap smear, depend upon these lifestyle factors. “Recommendations for frequency of STD testing and pap smears are changing and becoming less clear. The national organizations make these recommendations with an assumed baseline lifestyle, which may or may not apply to you. If you fall on the fringes of that, for example if you have a higher than average number of sexual partners, you have an increased risk and may need more regular testing,” says Dr. Rutherford. Other lifestyle factors such as smoking, drinking or drug use are also important to disclose, as they may result in different recommendations from your provider about birth control or other prescriptions, or lead to further conversations about related health risks. Many women are dissatisfied with their current birth control, due to negative side effects, cost or usability factors. Don’t settle for something that isn’t working for you! Push back if you are dissatisfied with your birth control, and ask your provider for more information on other methods that may better suit your needs. “The problem is that it takes time to figure out which option works best for you, and most doctors are not able or willing to take the time to discuss it in depth,” says Dr. Rutherford. “However, this is an important decision for women since it can have such a large impact on their health and quality of life.” Re-evaluate your birth control on a regular basis to make sure your method is truly the best fit for you. Assessing your medical history is an important aspect of a well-woman exam. This includes existing health problems, previous surgeries, family history and lifestyle factors. “Sometimes one of those things triggers a closer look at something specific, so be open to your provider redirecting the conversation if they see something they think you need to hear about,” says Dr. Rutherford. Being open to their suggestions can help you to be aware of possible health risks and make decisions that can head them off from the start. “Find a provider you can build a partnership with. You should be in control of your health – which means you need to be informed, respected and listened to,” says Dr. Rutherford. Don’t be afraid to shop around for a great provider who makes you feel heard, and don’t settle for someone who rushes you, doesn’t answer your questions, or makes you feel uncomfortable. Sometimes this requires hopping from doctor to doctor until you find the right fit, but it is worth it! Ideally, your well-woman visit should be a collaboration between you and your provider, making decisions together on an individual basis rather than one-size-fits-all approach. These tips will help you to get the most out of your visit and feel more informed and in control of your health. 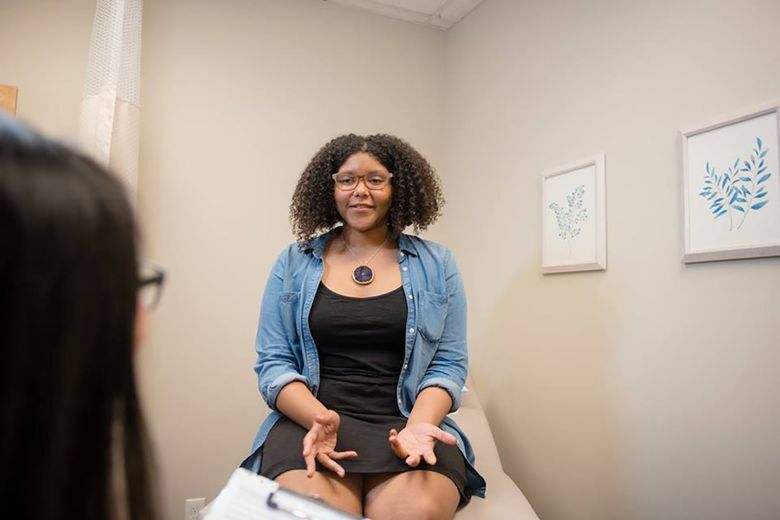 3W Medical for Women offers hour-long appointments, well-woman exams, STI/STD testing and treatment, and doctor or nurse consultations on birth control, pregnancy diagnosis and more.